After travelling to Everest Base Camp with the fall expedition team, Bob Mangino and father and son team Frank and Travis Brier will continue on to climb Island Peak. 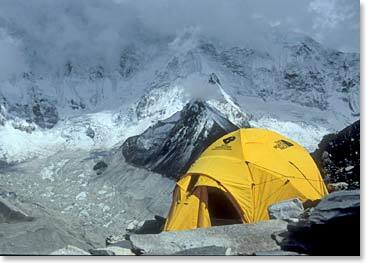 This stunning glaciated peak at 20,305ft/6,190m will offer great climbing opportunities and incredible views of the great Himalayan giants. Follow the team’s quest for the summit of this great peak on these daily dispatches! November 6, 2014 – Frank, Travis and Bob Summit Island Peak!